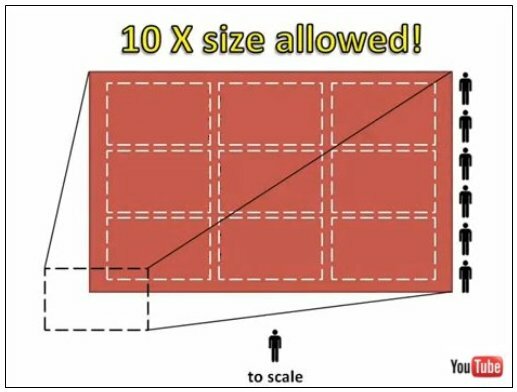 The following story in Vancouver’s largest Chinese language newspaper about the giant video screen describes how property values of hundreds of homes facing Terry Fox Plaza are expected to decrease significantly as a result of PavCo erecting the giant video screen. The story explains that those property owners worried about the ill-health effects on their families of continuous daily exposure to the incessant flashing Telus and Budweiser advertising are also now expecting to have great difficulty in selling their homes. 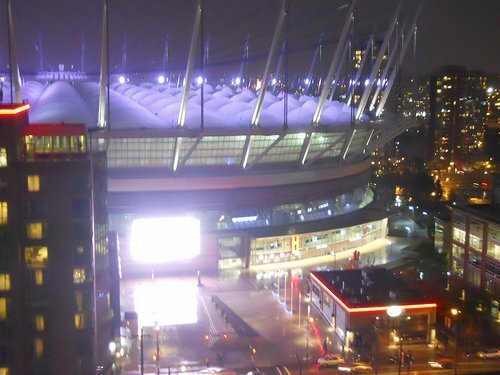 – Ask yourself honestly: Would you buy a home for your family which is facing a giant flashing video advertising screen? 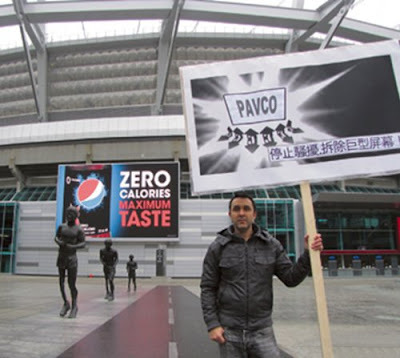 The Sing Tao story continues by reporting that Vancouver City Mayor Gregor Robertson has requested of the PavCo Minister (Pat Bell) that he instruct PavCo to comply with City By-laws (effectively calling for the removal of the screen). The story ends by describing how local residents John Kang and Jason Hathaway are negatively affected, both directly and indirectly, by the giant video screen. 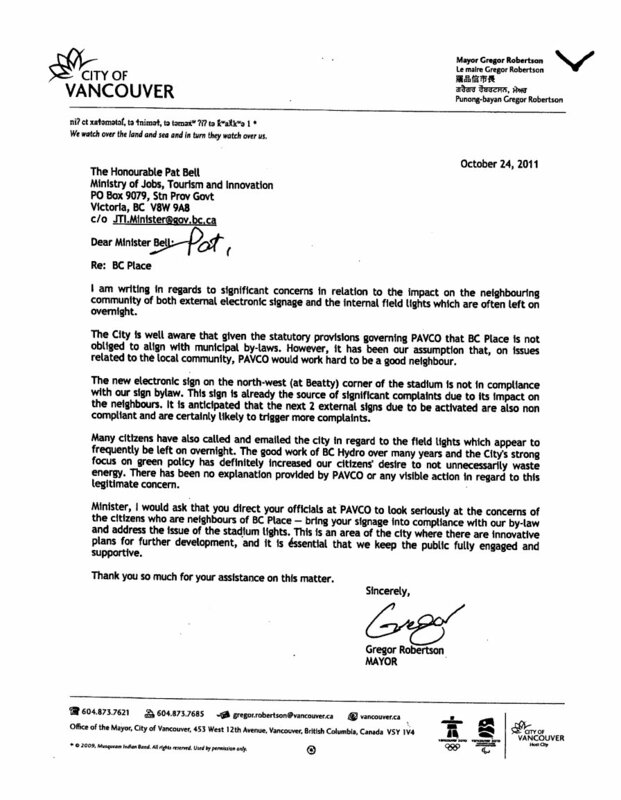 PavCoCrime posts YouTube video showing Minister Pat Bell caught on tape covering up BC PavCo’s violation of City By-laws!